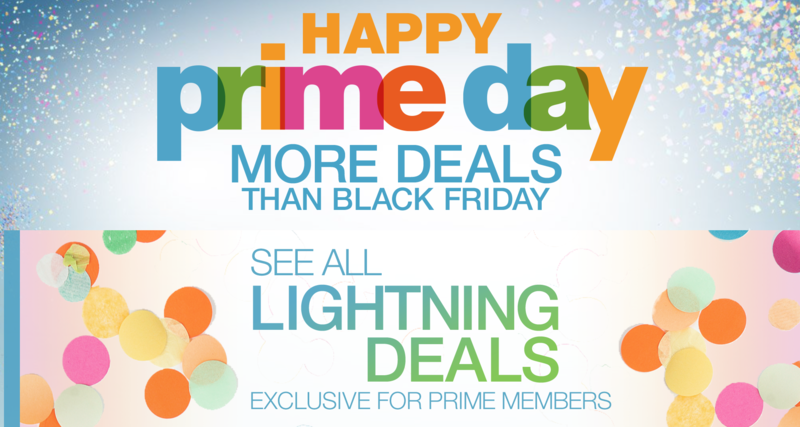 Amazon has been hyping up "Prime Day" as Black Friday's more generous sibling, and there's plenty on offer today for those of us with a penchant for gaming. The catch? You need to be a Prime Member to access the sale. Although if you sign up today you can snag a free month's trial, whicUltra Street Fighter IVh means there's not a catch at all. (Just remember to cancel your membership if you don't want to get charged once your trial has ended). Right now you can pick up a new 1TB Xbox One or a 1TB PlayStation 4 for £329 (the former comes with two controllers and Halo: The Master Chief Collection, the latter with PlayStation TV, three months of PlayStation Plus, Ultra Street Fighter IV, and that game I never, ever talk about, Destiny). The Prime Exclusive deals also include a load of PC digital codes, which means you can pick up a selection of triple-A titles from £17.49 (although most I've seen seem to be retailing for around £20-£25). There's also a buttload of physical games in the offing too, including (in no particular order): FIFA 15, Tomb Raider, Disney Infinity, Far Cry 4, Destiny, Sleeping Dogs, Diablo III: The Reaper of Souls, Call of Duty: Advanced Warfare, Battlefield 4, Just Dance, The Witcher 3, Dragon Age: Inquisition, and Final Fantasy Type 0. There's also the Smurfs game but... don't do that. All are available on a selection of consoles - both last- and current-gen - and PC, too. You need to be quick, though. Some discounts are available all day, but some are "lightning" deals which means the popular ones will close earlier than billed should they reach "100% Claimed". You can also find a selection of electronic goods (think Kindles, tablets, cables, that kind of thing) on sale throughout the day. Let me know what - if anything - you pick up, and keep us updated here if you come across any particularly delightful deals!